3 - THERE IS A VARIETY OF IMPORTANT LIVES, FOR THE EXISTENCE OF LIFE ON THE PLANET. 4 - AN UNSUITABLE BEAUTY THAT ONLY EXISTS IN THIS FOREST. 6 - THERE IS A QUANTITY OF IMMENSIVE SCIENTIFIC KNOWLEDGE, POSSIBLE TO CAUSE THE DEVELOPMENT OF TECHNOLOGY COMPANIES, AS A RESULT OF SUBSTANCES CONTAINED IN ANIMALS AND PLANTS, FOR VARIOUS PURPOSES FROM REMEDIES, COSMETICS TO SUVENIR. 7 - ALL THE EQUATORIAL FORESTS OF THE WORLD HAS AMOUNICAL FORESTRY EQUAL CHARACTERISTICS, ARE AN UNLIMITED STOCK OF KNOWLEDGE AND LIVES. 8 - NATURE CAN NOT BE SIMPLY EXPLORED, WITHOUT ANY PROJECT TO RESERVE THE LOSSES, AS A REPLANATION OF THE REDUCED AREAS, AND DEVELOPMENT OF TECHNOLOGY FOR CAUSED DESPUUTION, FOR THE REMOVAL OF ALL RAW MATERIALS WHICH CAUSE DAMAGE TO THE ENVIRONMENT. 9 - ALL FORESTS NEED TO BE REPLACED, WITH SPECIES OF THE BIOMA OF THE AFFECTED REGION, FOR PRESERVATION OF LIFE IN THAT ECOSYSTEM. 10 - ALL THE FORESTS OF THE PLANET WERE ALWAYS SOURCES, UNSUITABLE OF NATURAL RESOURCES THAT ALLOWED TO EVOLVE, FROM THE PREMIODS OF HUMANITY TO THE DAYS OF TODAY, FROM FOOD TO THE SOLUTION OF VARIOUS TYPES OF PROBLEMS, EXTRACTED DIRECTLY FROM NATURE, THEREFORE, THE RELEVANCE OF A FOREST WILL ALWAYS BE THE SAME, WE WILL ALWAYS DEPEND ON NATURE FOR OUR SURVIVAL. 11 - THERE ARE TECHNIQUES FOR EXPLORATION, NATURAL RESOURCES AS EXTRATIVISM, REPRESENT EMPLOYMENT OF INDIVIDUAL PEOPLE, STILL, IT IS PREPARING TECHNIQUES FOR EXPLORATION, OF RAW MATERIALS AS THE MINERS IN A FOREST, OBLIGE THE EXPLORING COMPANIES THERE ARE OBLIGATION, OF CREATION OF TECHNOLOGY FOR THIS PURPOSE, HOWEVER THERE IS NO OBLIGATION TO NOT DESTROY THE BIOMA, WITH THE CONTAMINATION OF THIS EXTRACTION IN AN INDISCRIMINATED WAY, ALL COMPANIES EXPLORING RESOURCES AS A PRIMARY MATTER, ARE OBLIGED TO REFUND THE NATURE OF ALL THE DAMAGES CAUSED BY THE EXTRACTION, WITHOUT THIS CONDITION NEVER IT MAY BE POSSIBLE, PERMIT TO EXPLORE THESE RESOURCES IN A FOREST. 13 - BURNED IN THE AMAZON TO CREATE PASTURES FOR CREATION OF CATTLE, IN ADDITION TO POLLUTION THE ATMOSPHERE OF THE PLANET, DEMONSTRATES THE INCOMPETENCE OF THE PECUARISTAS, THE NORTHEASTERN BRAZILIAN HAS MORE POSSIBILITY, OF PROVIDING PROFIT AND GREAT DEVELOPMENT TO THE LIVESTOCK, AFTER THE RIVER'S TRANSPOSITION SAN FRANCISCO, IT IS ENOUGH TO BUY FARMS NEAR CHANNELS, IRRIGATE THE EARTH WITH DEVELOPMENT OF PASTURES, AND ANY LIVESTOCK WILL GET GREAT SUCCESS IN THEIR PRODUCTION. 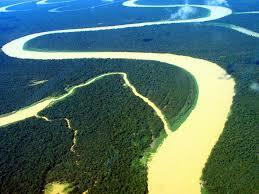 14 - THE ECONOMIC DEVELOPMENT OF THE AMAZON IS A LINKED TO BRAZILIAN TECHNOLOGICAL DEVELOPMENT. 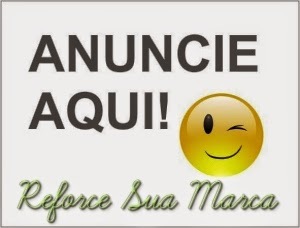 15 - THE INCOMPETENCE OF THE BRAZILIAN GOVERNMENT RETARDS, THE TRUE DEVELOPMENT OF THE AMAZON, SINCE THE SCIENTIFIC STUDIES DO NOT STIMULATE CONSTANTLY ON ALL THE SUBSTANCES THAT MAY BE EXTRACTED FROM ANIMALS AND PLANTS, SO THAT THE BRAZILIAN INDUSTRY CAN ENJOY THE IMPORTANT INNOVATIONS THAT MAY ARISE THESE STUDIES . The value of all the lives of this planet are immeasurable, and we depend on it because we evolve because of nature, it is impossible to believe that destruction of nature, does not represent the destruction of humanity, are merely conditional relations demonstrated, in the most varied forms by nature itself , just study it thoroughly and you will see the disastrous consequences, in all the indiscriminate actions practiced by the human being.